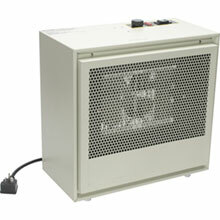 Many types of greenhouse heaters and heating systems are satisfactory for greenhouses. You must decide which system best suits your greenhouse operation. Consider the initial cost, economy of operation, and available fuel. You can heat your greenhouse efficiently with electricity or gas. How Many BTU Do You Need? Here Is A Tip! Multiply the width x the length of your greenhouse, this equals the sq/ft. Multiply the sq/ft by 77. The result is approximately how many BTU you need to operate your greenhouse. The type of system you choose will depend on how much you want to spend. Natural or L.P. Gas, No electricity required - These units are designed to be used singly or in groups to meet individual greenhouse requirements. These thermostatically controlled heaters circulate warm air over the greenhouse somewhat like the heat rays from sunshine, from the floor up. The temperature at the top of the greenhouse can be kept between 5 to 7 degrees of the floor temperature. 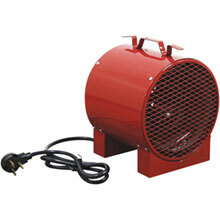 Space heaters - For low-cost heating for small greenhouses, use one or more ordinary space heaters. Forced-air heater - The best system for heating a small greenhouse is a forced-air furnace with a duct or plastic tube system to distribute heat. You can use a thermostat to control the temperature in the greenhouse. Hot-water or steam heater - A hot-water system with circulator or a steam system linked with automatic ventilation will give adequate temperature control. In some areas, coal or natural gas is readily available at low cost. This fuel is ideal for hot-water or a central steam system. 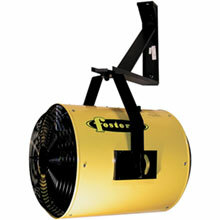 Steam has an advantage in that it can be used to sterilize growing beds and potting soils. Electric heaters - Overhead infrared heating equipment combined with soil cable heat provides a localized plant environment, which allows plants to thrive even though the surrounding air is at a lower than normal temperature. 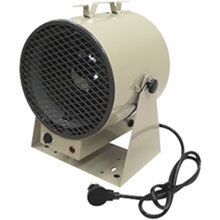 Electric resistance-type heaters are used as space heaters or in a forced air system.